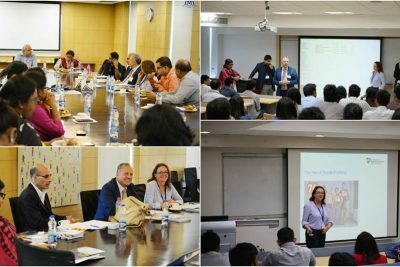 Delegates from the University of Southampton, Staffordshire University, University of Northampton, Aston University, who were out on a Business and Management Mission of the British Council visited IMI Kolkata and bequeathed their wisdom to the students. Professor Tapas Sharma, from University of Southampton, penetrated the importance of innovation and competition and circumspect on competition not necessarily having a negative connotation. The ineludible mantra of dealing with competition is innovation. Innovation will always aid in reducing the impact of unexpected development in the industrial scenario. Innovation is extremely important and instrumental in modelling a country’s economy and it is for this reason that economic progress and innovation are interlinked. He emphasized on the magic that their symposium can create. Professor Hugh Colaco, from Aston University, talked about the Initial Public Offerings and how they have been in vogue since 1990’s due to the dot com bubble burst. He analyzed the pros and the cons associated with the IPOs. He also gave the prudence on how underpricing is a curse on retail investors. Professor Maggie Anderson, from University of Northampton, gave a sagacity on the importance of Social Media in recruitment, selection and promotion decisions of any organization. She talked about the exclusivity of the Indian economy and how the burgeoning youth population is fueling it. 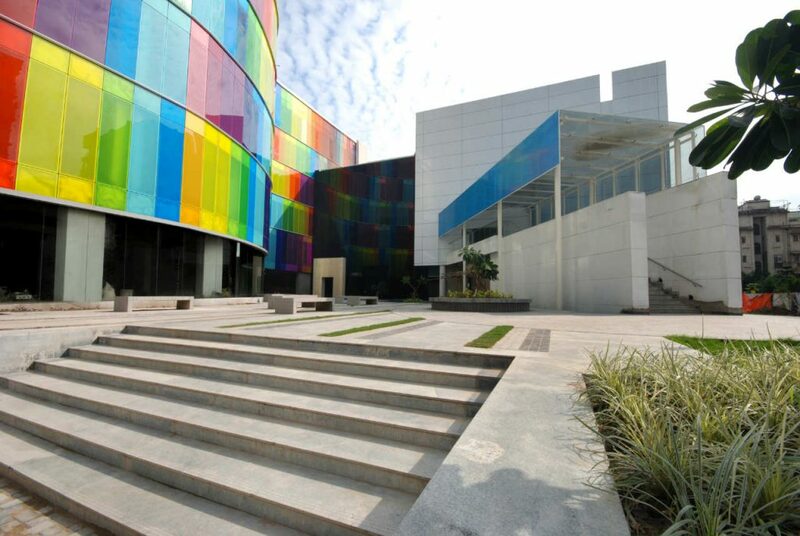 India has been looked at as a prospective market with the number of users of social media surpassing that of USA. She made the students take notice of the difference in the behavior of people online and offline. The Internet outbreak has prompted a new criterion of selection and recruitment as the online behavior of the individual will impact how he behaves offline. There is thus a rise of social profiling. She gave a prelude to the Social Profiling Index Report which gives employer rating for online privacy and activity of the applicants to a profile. Recruitment decisions these days do depend on the personal online social profile report. Dr. Ahmad Mlouk, from Staffordshire University intoxicated the students with an understanding of the buzzwords in the international finance. He immaculately briefed about the nitty gritty involved in company valuation. The nucleus of the discussion remained that. However, he also took time out to give a quintessence on Islamic Financing, where money is but sans gratis. The idea of mutual sharing and help is what forms the crux of this model and also the interest in the field of corporate governance. The audience seemed enthralled as they surfed in the wave of erudition by these stalwarts from across the globe.